Wente Vineyards would like you to know about their winery and try their wines at VanWineFest 2019. Read about them in their own words. 2018 is a very special year as it marks our winery’s 135th anniversary. Wente Vineyards is the oldest continuously operated, family-owned winery in the country. The wines are 100% estate grown and sustainably farmed in the Livermore Valley, San Francisco Bay and Arroyo Seco, Monterey appellations. 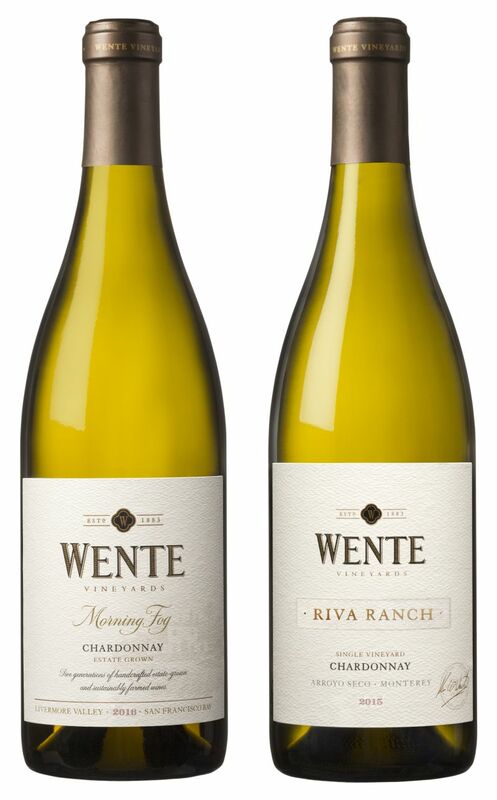 The winery is owned and managed by the fourth and fifth generations of the Wente family, who are recognized for their influence in making Chardonnay the best-selling varietal in the country, based on numerous accomplishments over the past 130 years. Meet Winery Principal, Karl Wente, 5th Generation Winegrower & Winemaker and taste these wines. Wente Vineyards Morning Fog Chardonnay $19.99 – This wine was fermented in 50% neutral American oak barrels and 50% in stainless steel tanks. The oak provides hints of vanilla and enhances the mouthfeel and the steel preserves the naturally vibrant fruit flavours inherent in this Chardonnay. The barrel fermented portion was aged sur lie for 5 months and batonnage, the art of stirring the barrels, was performed monthly. This adds a creamy note to the wine and greatly enhances the texture. From the remaining 50% stainless steel portion, half was aged on lees for 5 months while the other half was racked clean to preserve the fresh fruit character. Aromatics from creamy lemon curd, graham cracker and a touch of floral and vanilla. tart, graham and toasty vanilla from barrel ageing. This opulent Chardonnay has balanced acidity and a long, smooth lingering finish. such as dark cherry, plum and blackberry. The ageing of oak barrels imparts the touch of vanilla and cedar to round out this medium-bodied Cabernet Sauvignon. 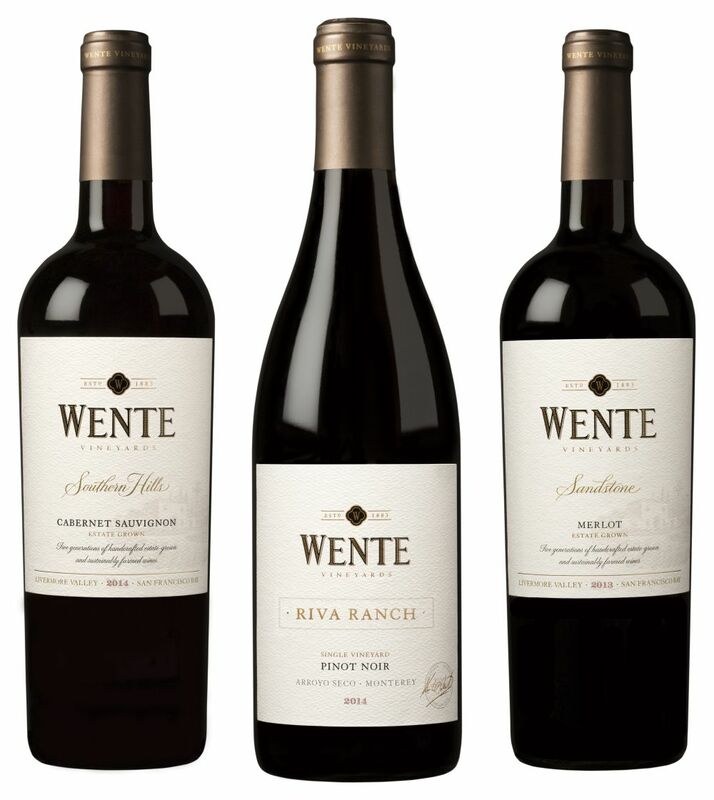 Wente Vineyards Riva Ranch Single Vineyard (Monterey) Pinot Noir $32.49 – We farm 8 clones of Pinot Noir (Pommard, Martini, 114, 115, 667, 777, 828, and 77), with each offering different flavours, textures and aromatics to the wine. This wine was fermented in small stainless steel tanks and pumped over twice daily to maximize the extraction of all the wonderful flavours, aromas, and textures. Aged for 16 months in 50% new French oak and 50% neutral oak barrels. This wine exhibits beautiful aromas and flavours of black cherry, cranberry, and crisp red apples with notes of black tea, baking spices and coriander. This elegant and balanced Pinot Noir has lively acidity with gripping yet supple tannins and a long, smooth finish. tannins, finishing with a bright acidity.